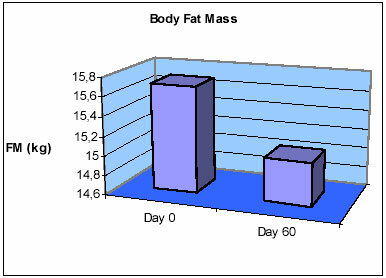 The graph below shows schematically the fact that 50% of the patients that participated in the clinical tests, had a significant decrease of 0.6 to 1.4 kilogram (1.32 to 3.08 pounds) in body mass while testing the efficiency of the cellulite removing cream. Please note - these clinical tests were only performed on one ingredient of the formula, and the other ingredients also help to make Cellumend the most effective cellulite cream in the world market today. Although fat is not really the main problem when fighting cellulite, is does feature in the holistic way of treating cellulite, and must be attended to. Other cellulite preparations do not always look at assisting the body in all ways to fight cellulite, and simply use the reduction of water in the system to produce short-term results. 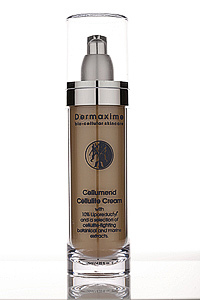 Cellumend is formulated in such a way, with properly tested clinical trials on some ingredients, to fight cellulite in the most effective way possible, yet at an affordable price. Although the body fat mass decreased during the test period, the test was done to determine the efficiency of the cream in removing cellulite - and taking this result together with the other clinical parameters that were tested, it showed that Cellumend is a truly effective way of removing the "orange peel" effect from the skin.